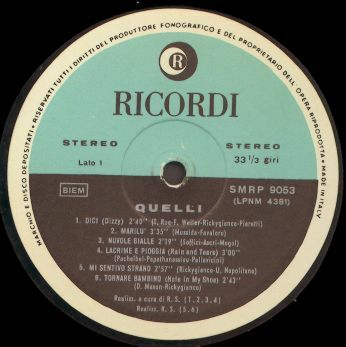 One of the most important Italian major labels, Dischi Ricordi S.p.A. was founded in 1962, but its origins lay in the 1808-founded Casa Ricordi, and has been, during the 60's and 70's, one of the driving forces behind the Italian music of all kinds. 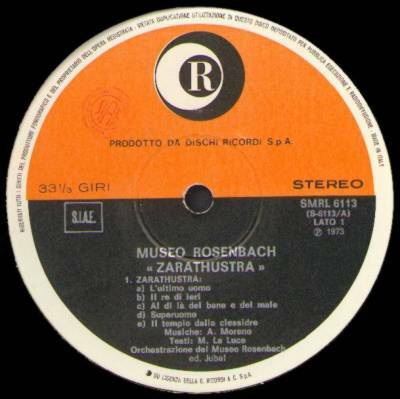 Particularly interested in promoting rock groups, they released some monuments of the Italian prog scene, like Banco del Mutuo Soccorso's almost entire production, and albums by Reale Accademia di Musica, Museo Rosenbach, Acqua Fragile, Hunka Munka, Cervello, Rocky's Filj. 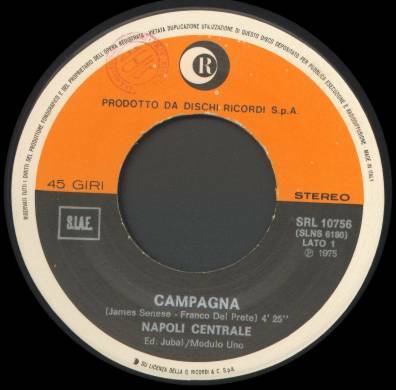 They also acted as distributors for some important foreign labels, like Island (with some unique Italian pink Island issues), Chrysalis and A&M, after using their own Ricordi International label for the distribution of foreign companies' products. 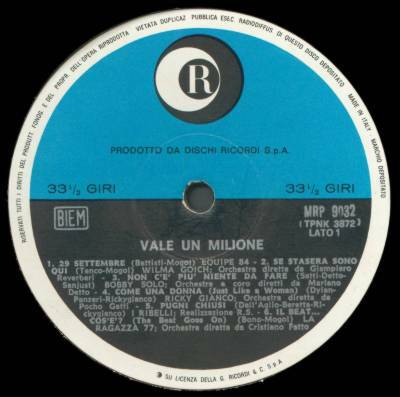 In the second part of the 70's Ricordi launched a half-price series called Orizzonte ("Horizon"), including some of their rarest albums from the 60's. Some of these albums (ie. Quelli and I Ribelli) have become very rare. 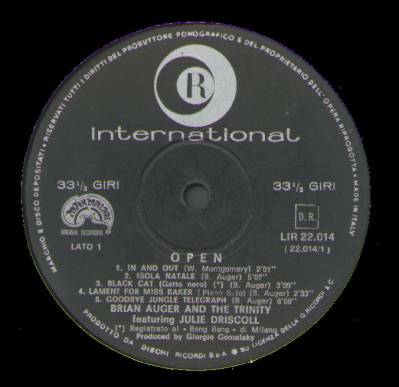 Most Orizzonte albums had single covers, even when the originals were gatefold, with a triangular logo in front cover's upper left corner, and had an ORL catalogue number. Since 1994 Dischi Ricordi is part of the Bertelsmann BMG group. A partial discography including only rock and progressive releases. SMRP and SMRL series (with different numbers) are ordered by year. Classic Ricordi label was half orange and half black with logo on top and silver lettering. 60's issues had the same design but blue/black (also some green/black jazz issues exist). This was darker in mono issues and with light blue in stereo ones. Only some of their LP releases had custom labels (the first three Banco del Mutuo Soccorso albums, for example). Standard series albums had MRP (mono) and SMRP - SMRL (stereo) numbers. Around 1976 label was changed to a new design with big white logo on orange background. The same design, with light green background was used for Orizzonte budget-price series with cat.no.prefix ORL. This last label was converted to a dark blue design during the 80's. 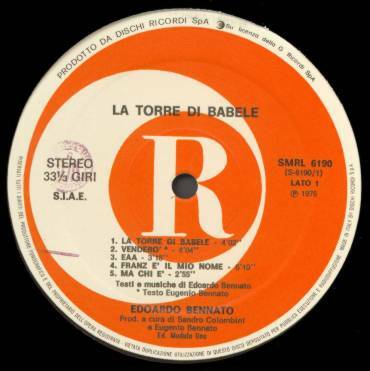 The first albums on Orizzonte, released in 1975-76, had the standard orange/black Ricordi label. 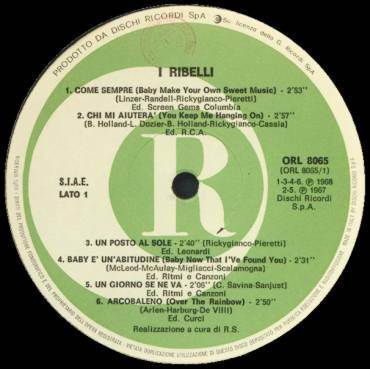 Ricordi International label was used until late 60's or early70's to distribute foreign companies' records. Label was standard black with silver logo and lettering and often had a small logo of the original foreign company. Numbers bore the prefix LIR (mono) and SLIR (stereo). Singles had same design as same period's albums with SRL numbers. This page was first created for the dutch Musictrade web site's collectible labels list, that's sadly been discontinued, and it's presented now in revised form.